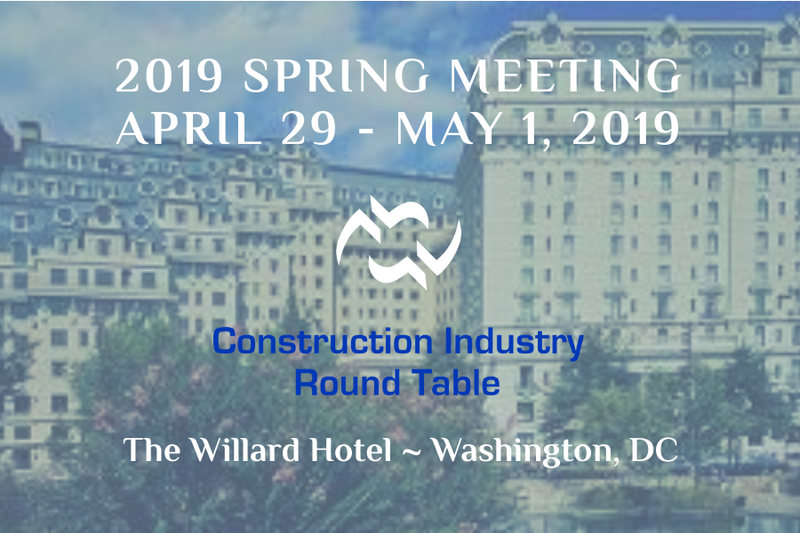 We are very pleased to announce that economists Arthur B. Laffer and Stephen Moore are confirmed as our headliners for the opening session of CIRT's Spring Meeting on April 30, 2019. Laffer & Moore will offer well-informed insights into President Trump’s approach to trade, taxes, employment, infrastructure, and other economic policies as described in their co-authored book, Trumponomics: Inside the America First Plan to Revive Our Economy. Moore and Laffer served as senior economic advisors to Donald Trump in 2016. They traveled with him, frequently met with his political and economic teams,worked on his speeches, and even represented him as surrogates. Currently, they sit as members on Trump’s Advisory Council; still regularly meeting with him. Moore & Laffer will offer their unique insider’s view on how Trump operates in public and behind closed doors: his priorities, his passions as well as his greatest attributes and liabilities. The Federal Election Commission (FEC) has announced the new political contribution limits for the 2019-2020 election cycle. According to a recent report by Venable LLP, the individual limit has gone up by $100. For candidates up for election in 2020, individuals may now give $2,800 per election or $5,600 per candidate per election cycle (with the primary and general considered separate elections). This means that individual contributors who had previously maxed out to candidates for 2020 primary and general elections at $2,700 per election may now give those candidates another $100 per election. Individual contributions to the main account of the national party committees were increased by $1,600 from $33,900 per year to $35,500 per year. Each of the special accounts of the party committees – presidential nominating conventions, legal and election recount expenses, and building funds – were increased by $4,800 from $101,700 to $106,500 per year. Thus, individuals may give three times as much per year to each of these special accounts as they can contribute to the main account. ConsensusDocs subscription will be increasing by 10% on Monday, March 4th, 2019, the first increase in over four years. The new price will apply to renewals, per the breakdown of the new pricing here. CIRT is part of the ConsensusDocs Coalition that provides the widest variety of contract document subscription packages for a lower rate than other standardized document providers. It is the goal of the Coalition for our industry to achieve better project results with fair, best practice contracts. Over the past few years, the number of documents has grown to over 100 standardized templates to help you achieve better project results. Recently, the group released the industry’s first standardized Lean Construction Addendum and Design-Assist Contract. Other documents are in the works, such as a Master Subcontract Agreement. And as published in Design Cost Data, there will also be a new technology platform for users on Monday March 4th, 2019. (As a “ConsensusDoc member” through CIRT, for more information on pricing etc., and/or a sneak peek at the new platform contact: ahager@consensusdocs.org). Today, CIRT partner in providing online talent/workforce identification and development, STEM-Premiere, has announced it has officially changed its name to Tallo.